Dr. Elizabeth Ellen is a third generation orthodontist. Her grandfather and father both enjoyed 40 years of orthodontic practice. Dr. Ellen received her undergraduate degree at Tufts University. She spent an additional year in Boston working at the Harvard School of public Health before resuming her studies at the University of Pennsylvania, Dental School. While at the University of Pennsylvania, she served as class president, and academic tutor, a teaching assistant, and a research assistant. She participated in a clinical clerkship at the Long Island Jewish Medical Center, in the department of oral Surgery. She received the Dr. Earle Banks Hoyt Senior teaching Award, and was inducted into the Matthew Cryer and the Omicron Kappa Upsilon Dental Honor Societies. 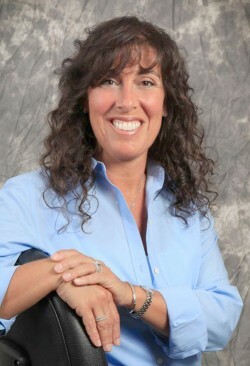 Dr. Ellen received her Orthodontics degree from the University of Illinois at Chicago. She was an Associate professor of Clinical orthodontics at Columbia University and was a member of the Craniofacial Team at St. Joseph ‘s Hospital and Medical Center for many years. Dr. Ellen is an active member of the American Association of orthodontics, American Dental Association, Passaic County Dental Society, New Jersey Association of Orthodontics and the Middle Atlantic Society of orthodontics. Dr. Ellen is active in the Passaic County Children’s Dental health Month, and she enjoys speaking to children in all grade levels about oral and Dental Health topics.